The Bank of England voted to keep the base rate at all time lows last week, likely meaning more bargains for borrowers, but slim pickings for savers. But there is increasing pressure to start taking the base rate back up again. The Bank of England (BoE) has decided to keep the base rate of interest at its all time low of 0.25%. The base rate is the biggest influence on rates for saving and borrowing, so we can expect to see bargain mortgages continue, but returns on savings to remain poor. But with dissent in the BoE ranks and pressure coming from both the domestic and global economy, could a rate rise be back on the table? Never mind the central banks, could you get a better rate? Compare mortgages today and see if you could find a cheaper rate, lower fees or get better customer service. Last week the BoE’s nine member Monetary Policy Committee (MPC), in their monthly rate review, voted to keep the base rate of interest at the unprecedented low of 0.25%. The base rate was halved from 0.5% on 4 August 2016, in a decision lead by BoE Governor Mark Carney. 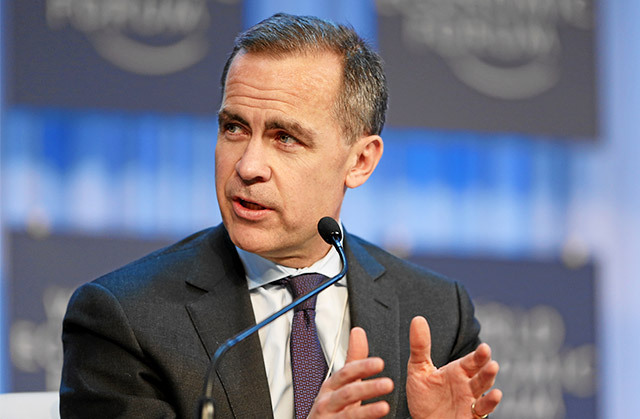 It was intended as a calming measure for the economy the aftermath of the Brexit referendum, but Carney has come under fire for acting too soon and taking rates too low. This record low base rate has brought with them some of the cheapest mortgage rates the market has ever seen, with the lowest rates hovering around the 1% mark. 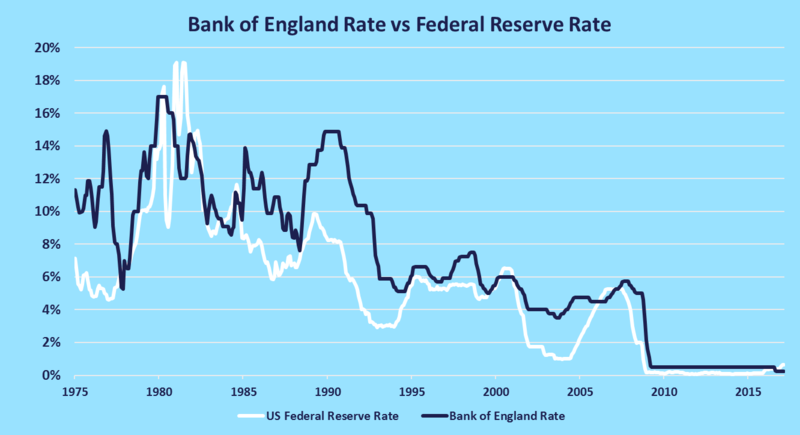 Although there have been some hints of mortgage rates creeping up as a consequence of the so-called “Trumpflation” effect on global money markets, without a rate rise from the BoE, it’s looking unlikely UK mortgage rates will go up dramatically. However, it’s also unlikely that rates will go lower than they are currently, so if you are remortgaging, it could be worth thinking about fixing a rate. Is the time right to get a fixed rate mortgage? Look at mortgages where your mortgage rate will remain at fixed rate for a set period of years, whatever happens in the markets. Whilst low rates are great for those borrowing, it’s tough news for savers, who have been suffering from meagre returns on their deposits ever since 2009 when the base rate was first brought down to 0.5%. There is some good news for savers though, with the Government’s “market leading” NS&I savings bond launching next, as Chancellor Phillip Hammond took the opportunity to remind us about in his recent Spring Budget. Find a current account that will pay a higher rate of interest on your deposits. There is a whisper of a hint of a rumour of a rate rise in the not too distant future, though it’s worth being very tentative around this, as this has essentially been the situation since 2014. For the first time in eight months the MPC vote was split, with one of the nine members, Kristin Forbes, voting to take rates back up to 0.5%. However, it’s likely not worth reading too much into this, as her dissenting vote is unlikely to hold too much sway, as she is an external committee member (an advisory position) and her term on the MPC is coming to an end this summer. The day before the BoE decision, the US Federal Reserve took interest rates up again by a quarter of a percent, leaving the US with a base rate of 1%. Historically the British and American economies have been closely tied, with the UK base rate following much the same pattern as the American. However, where the Federal Reserve has been steadily raising rates, the BoE has been keeping them down. In economic theory the base rate should rise with inflation, because if it’s too cheap to borrow money demand for goods and services increases, which will push up prices further. And the UK is now facing inflation – immediately after the outcome of the 2016 Brexit vote the pound dropped against the dollar to its lowest point since the 1980s. As the UK buys much of its imported goods in dollars it’s expected this will push up prices, causing inflation. Whilst this was not seen in the second half of 2016, it’s beginning to bite now with inflation expected to go above the 2% target traditionally held to by the BoE. However, the current risk for the BoE is “stagflation”, where the economy is not growing but prices are still rising. If this happens there will be an interest rate tightrope to walk; if they raise rates economic growth could slow further, if they don’t there could be runaway inflation. When do you think rates will rise? Obviously, nobody knows the answer to this and even if you manage to corner Governor Mark Carney in a lift, you’re unlikely to find out. But ‘taking all bets’ let’s hear what you have to say.